Here is a tally of killings and establishment policies that tell a terrifying tale of state failure. 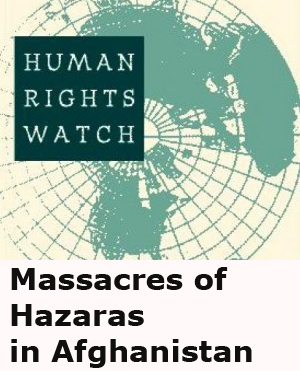 Over 500 Shia Hazaras have been killed in Balochistan by Sunni extremists in the recent past. Last Tuesday, a bus was waylaid near Quetta by Lashkar-e-Jhangvi terrorists who mowed down 26 Shia passengers in cold blood. A month earlier, a story in this paper had warned that such a massacre was being planned in Quetta by self-avowed “Shia killers” of a “banned” organisation. But it was blithely ignored by the establishment. Two months ago, an extremist leader of a banned organization was set free from prison because the police, witnesses and judge weren’t ready to do their duty. As he roams the land, thundering against Shias, the PMLN Punjab government in particular, and the PPP federal government in general, are inclined to make deals with him in order to further their electoral interests in at least 40 local constituencies. 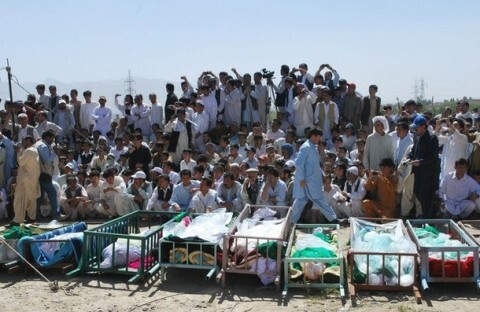 Over 30,000 citizens and 3000 soldiers have lost their lives at the murderous hands of the Tehreek-e-Taliban in the last three years. The Economic Survey 2011 claims this war has cost Pakistan upwards of $60 billion so far, which is nearly one third of our gross national income. 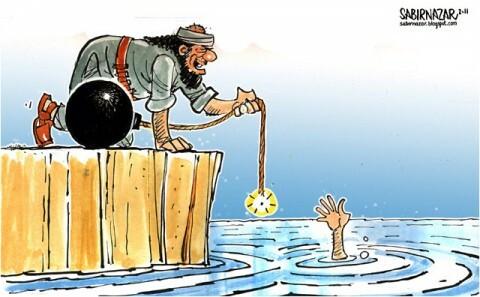 FATA is squarely in the hands of Al-Qaeda and various Afghan and Pakistani Taliban and Jihadi outfits. Dir and Chitral in the Northern Areas are now threatened by terrorists seeking sanctuaries and base areas. Many of these groups were once state adjuncts; some are still assets. A few are in the process of reorganizing themselves, collecting funds and flexing their muscle again. The police are either too scared or helpless to do anything since establishment policy is murky. Now the TTP has announced a campaign of suicide attacks and kidnapping-for-ransom in the urban areas of Pakistan. Last week, the Karachi Defence Society house of DIG Police, Aslam Qureshi, was attacked in broad daylight by a truckload of explosives, killing all the guards and passersby. Last month, Shahbaz Taseer, the son of the murdered former Governor of Punjab, Salmaan Taseer, was kidnapped and whisked away to Waziristan. A pamphlet is circulating in Karachi which exhorts the Faithful to target a number of politicians and media-persons and, failing them, their family members. Each intelligence agency has circulated secret lists of targets to governments and mainstream political parties. Assassination is the name of the game. In Karachi, over 400 people were killed in the most recent wave of inter-party killings over August and September. The MQM is said to have at least 35,000 fully armed cadres who can be called out for action in the blinking of an eye – over 1 million arms licenses are reported to have been issued to them so far. The ANP’s Pakhtun supporters don’t need arms licenses because they have grown up brandishing Kalashnikovs and TT guns. The PPP’s Zulfikar Mirza says he has personally issued 300,000 arms licenses to his Sindhi supporters for combating the MQM. Each of these parties is now allied to Karachi’s traditional land, gun and drug mafias that are fattening by the day on the basis of their new political alliances. 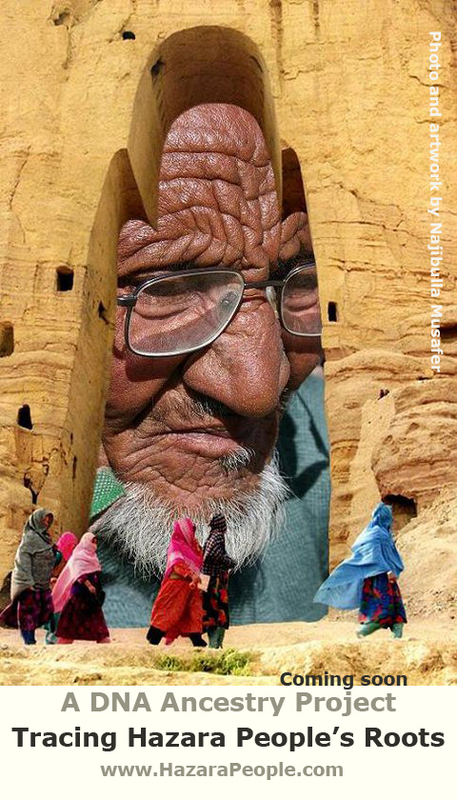 In Balochistan, separatist insurgents are attacking the police, Baloch and non-Baloch government functionaries and Punjabi settlers. In retaliation, the Frontier Corps and the intelligence agencies, which are arms of the Pakistan Army, are swooping down on suspects and making them “disappear”. A number of armed non-state groups have mysteriously emerged in the province, all proclaiming robust Pakistani patriotism, to abduct and kill Baloch nationalists. The whole country has become one big killing field. Under the circumstances, with the police and civilian administrations wringing their hands in despair, there is only one institutional force that can establish the writ of the state and restore law and order. That is the Pakistan Army. But the Army is busy fending off the Americans, neutralizing the Indians, hiding and protecting the Afghan insurgents and fighting the Pakistani Taliban to have any energy or inclination to do any domestic cleansing. Are we therefore doomed? Not necessarily. The Army’s troubles are mainly self-inflicted. If it can bring itself to de-link its raison d’etre (reason to be) from India, if it can conceive national security to have an economic and military dimension in equal measure rather than a military one exclusively, if it can consider national security to be an element of the national interest rather than synonymous with it, if it can stop extrapolating the national interest with core strategic outreach in Afghanistan, then perhaps some of our troubles will go away. In short, if the Pakistan Army can focus on concentrating its energies on securing domestic law and order and internal security instead of monopolising foreign policy within a failed security matrix, we can put our house in order by rooting out terrorism and reviving the economy, thereby giving increasingly desperate Pakistanis a sense of hope in the future. 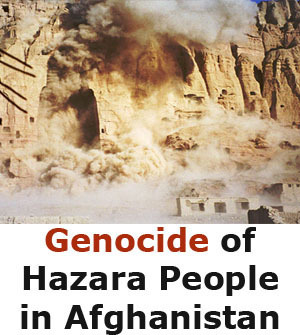 There will also be protest in Austria, Vienna on saturday this week, all the hazara of Austria are requested to take part and show the world about the attrocities of the Balochistan Govt. in Pakistan. 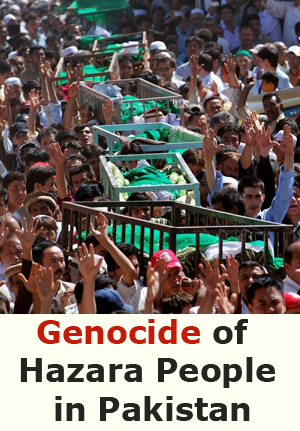 The whole Europe should know about the genocide of Hazara nation in Pakistan. 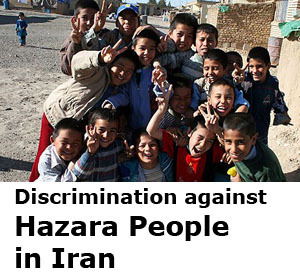 The hazara of Germany, Switzerland and other countries should also arrange protests, because we can find the International court of Justice department in Swisserland and other parts of the world. 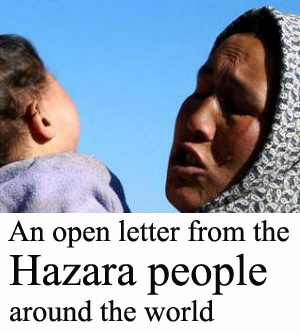 so now is the time for the hazara of the world that we show that we are united and fight against our enemies.